It is still very much warm soup weather here in New Zealand. Winter has been horrible; wet or cold and sometimes cold and wet. That may sound strange it’s generally warmer when it rains in Auckland, but not this winter. Hearty soup is satisfying in itself, but sometimes a little something you can dip in is called for. How about one that ticks all the boxes?Paleo/Primal, Low carb healthy fat, Grain free & Gluten free. Anne from Just for our Health has posted a tasty looking flat bread that’s ideal for soup dipping! 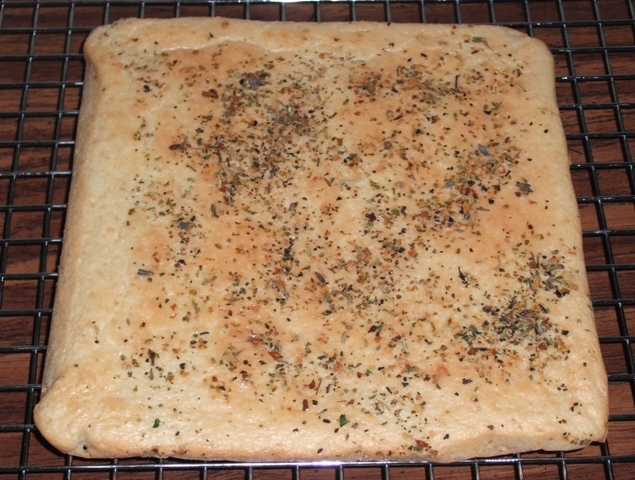 Finish this tasty flatbread off with a sprinkle with dried herbs, or some chopped fresh rosemary or oregano. You will find the recipe here Paleo Focaccia.